Cover art by Barry Windsor-Smith. Devil-Wings Over Shadizar, script by Roy Thomas, pencils by Barry Windsor-Smith, inks by Sal Buscema. 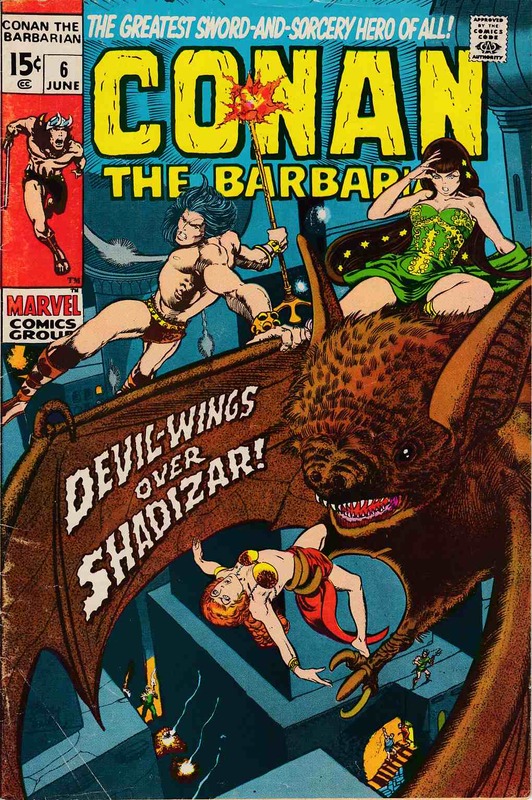 Shadizar the Wicked; Conan kills bat-like creature worshipped as a god; Jenna saves Conans life & steals his gold; first appearance of Jenna, Fafnir and Blackrat.